but hoping to get outside this weekend and finish up. Enjoy these inspiring spaces! 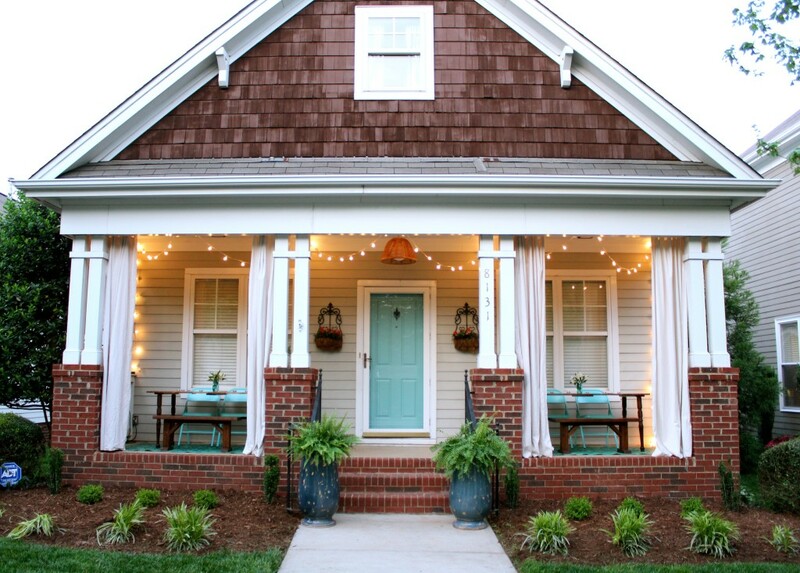 Becky @ This is Happiness shared some tips for casual entertaining! fun is that striped umbrella and the refreshing beverage! Summer @ Simple Stylings revealed her fabulous front porch makeover! 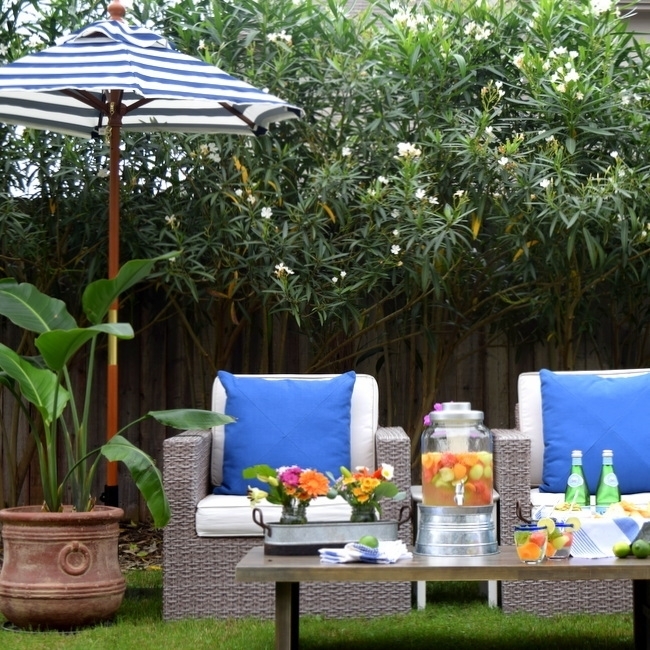 for al fresco dining with neighbors ~ love that! Heather @ Southern State of Mind was finishing up her bedroom when things snowballed! it she had a beautifully updated foyer! but will be back in September with a new spin! 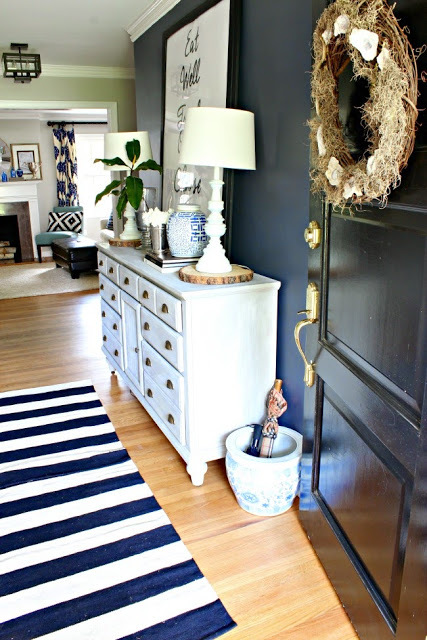 love that foyer and i am so in love with all the outdoor spaces! Great inspiration photos! Have a wonderful weekend! I love these features, especially the outdoor spaces. What lovely homes you have featured here. Just gorgeous.